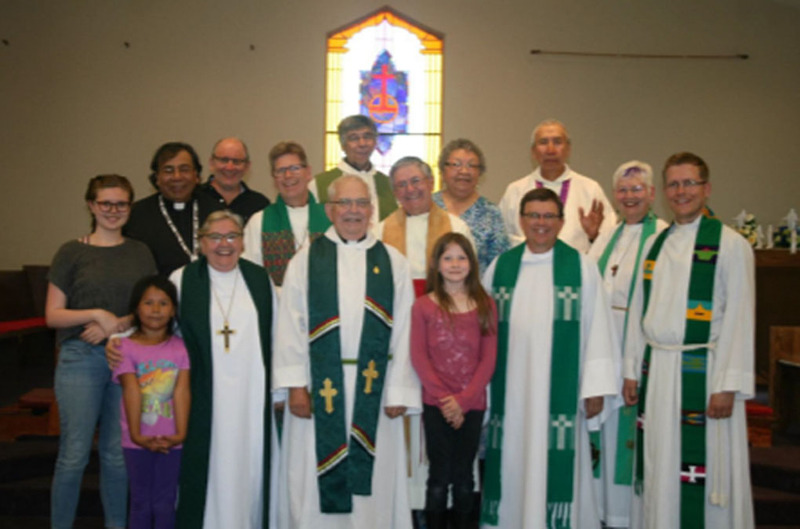 Justice and Reconciliation Team members (front row L to R) Keesha Beardy, Bishop Elaine Sauer, Pastor Ted Chell, Caytlin Gingrich, Prof. Dirk Lange, (back row L to R) Florence Lange, the Rev. Dr. Larry Beardy, Luther Chell, Pastor Paul Gehrs, the Venerable Kenneth Kitchekeesik, the Rev. Canon Dr. Murray Still, the Rev. Martha Spence, Peter Keechikesik, Pastor Katharine Bergbusch, Pastor Tyler Gingrich. 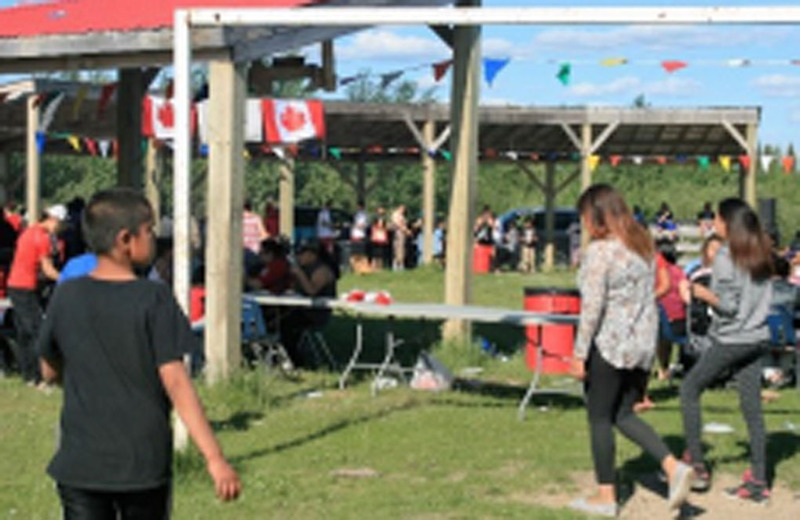 An invitation was extended and after a year’s preparation 11 southerners that included mostly Lutherans and one Anglican visited the community of Tataskweyak or Split Lake. 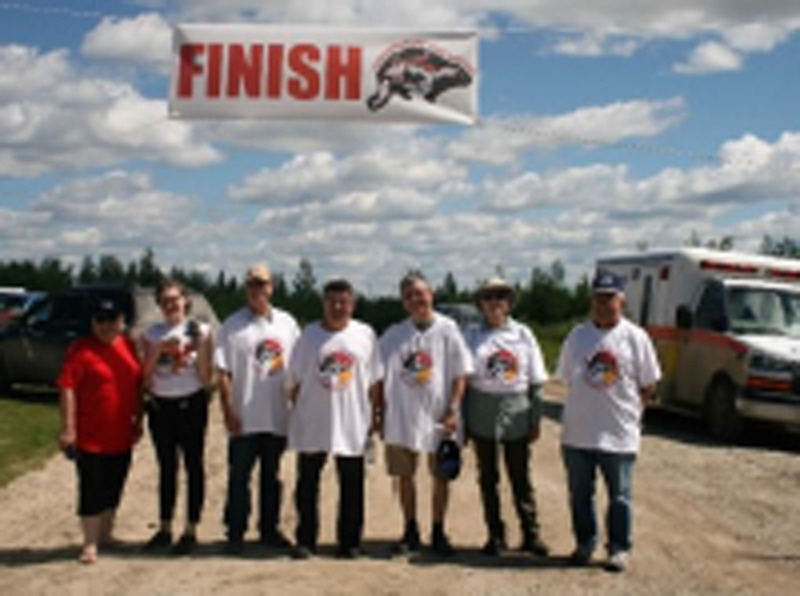 The 905 km trip from Winnipeg started after an invitation by the Rev. Dr. Larry Beardy following a visit to the Church of St Stephen and St Bede in Winnipeg. At the fellowship after the service Dr. Beardy spoke with the Rev. Dr. Dirk Lange, a Lutheran pastor and Associate Dean at Luther Seminary in St Paul, Minnesota. Dr. Lange was interested in learning of the indigenous culture and issues of justice and reconciliation especially as it applies to northern Manitoba. “Come and see,” was Dr. Beardy’s response. 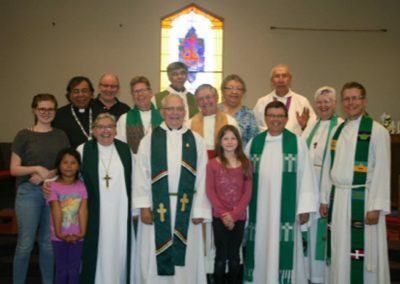 Retired Lutheran Pastor Ted Chell had visited Split Lake with the Rev. 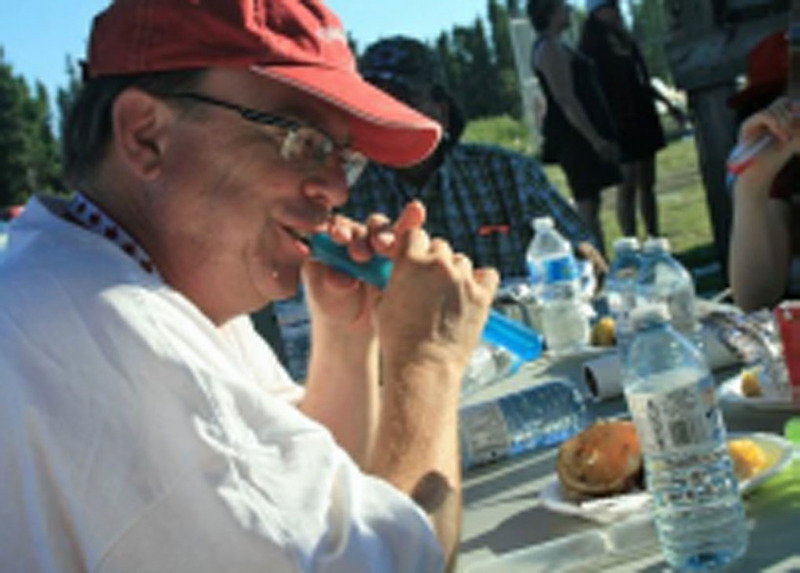 Fletcher Stewart in 2010 as a part of a Kairos justice tour of the north and was familiar with the area. After conversations with the pastor of the Church of St. Stephen and St Bede, the Rev. Canon Dr. Murray Still, a plan emerged to invite a large group to travel north. 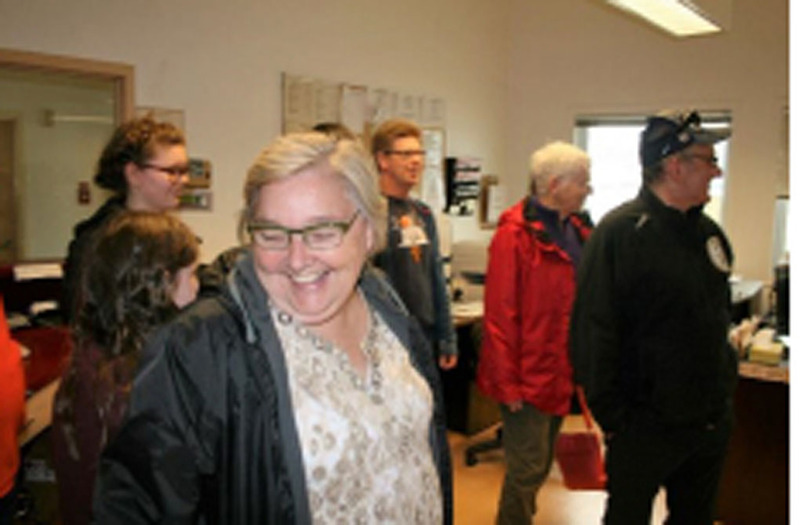 After funding was secured, guests were invited to join the tour that included two young people, the bishop of the Evangelical Lutheran Church in Canada (ELCIC) Manitoba Northwest Ontario Synod (MNO) Bishop Elaine Sauer and six other Lutheran pastors. Dr. Beardy worked with his parish priest and a couple of others to complete the tour. On the first day of the tour June 28, members drove in a car and two rented vans as far as Thompson and stayed the night. 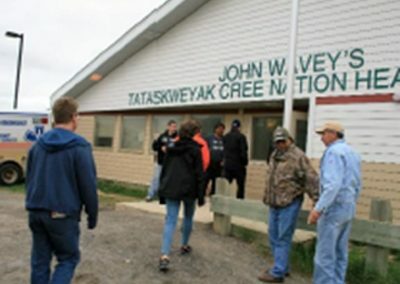 The next morning, tour members were met by Dr. Beardy and Peter Kecheekesik and guided north on the gravel road that was built in the 1980s. The road is still under construction in many spots, making the drive north a challenge at times. 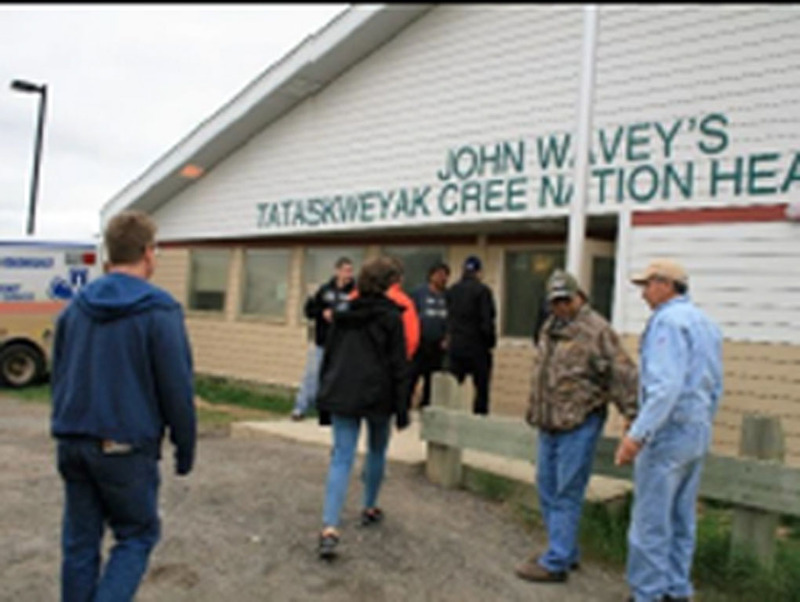 Upon arrival, the tour was greeted by Chief and Council and given a tour of the band office, newly built Cultural Centre and Health Centre. The parish Church of St. John the Baptist is fairly new and members of the tour were then given blankets and items for their stay at the teacherages next to the school. The teacherages served as the gathering spot for the tour members and each day started with breakfast followed by Gospel Based Discipleship or GBD. 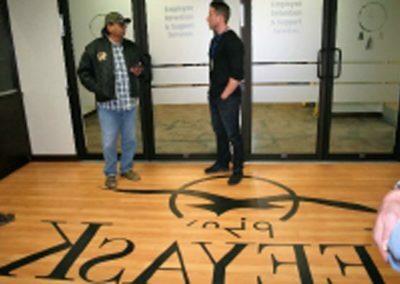 “The GBD is common in Indigenous communities today,” explained Still, who said the method basically revolves around a discussion of the Gospel where all members of the circle participate. Each day of the tour was packed with learning and community connections. 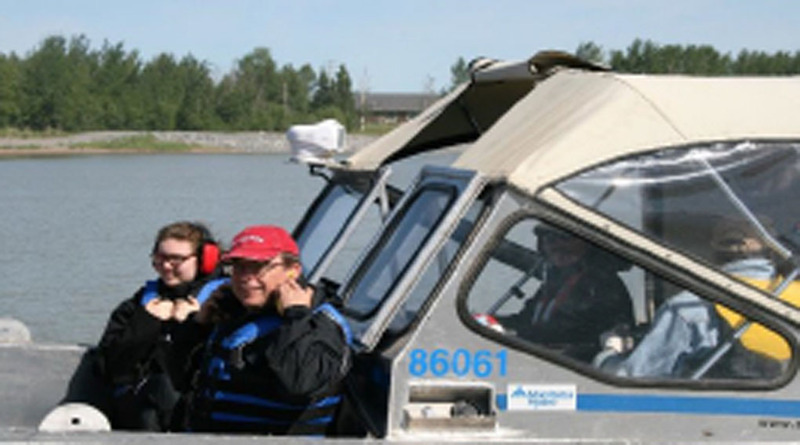 Early in the trip, the tour was loaded into two Manitoba Hydro boats and taken to visit the Kelsey dam on the Nelson River. On the way, the boat stopped to enjoy a rapids and soak up some sun. 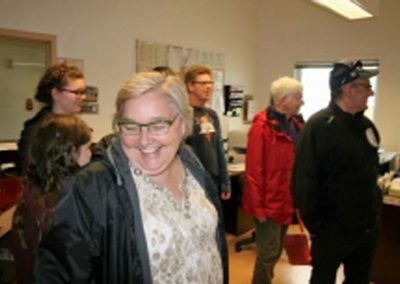 Hydro staff were gracious in feeding the tour members lunch and showing them around the dam site, one of the first in Manitoba. 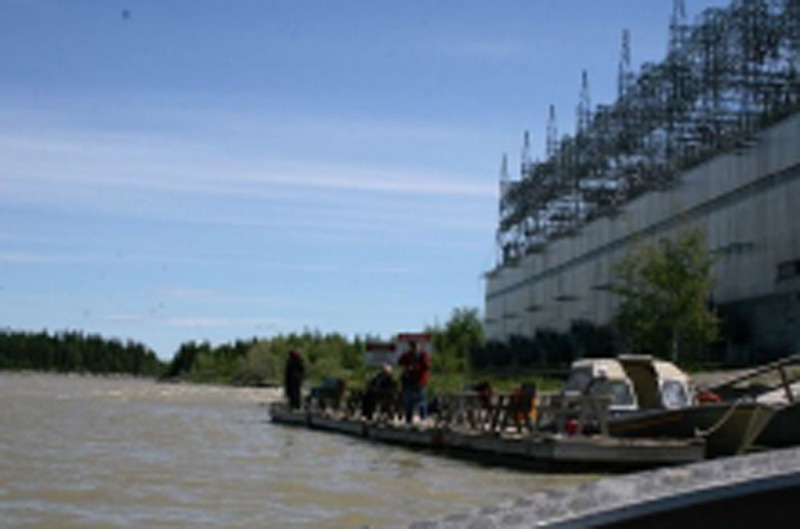 It was built originally by Manitoba Hydro to sell electricity to Inco Mines in Thompson. Tour members noted instantly the discoloration of the water, and many community members recalled a time before the dam when the water was clear enough to drink from. 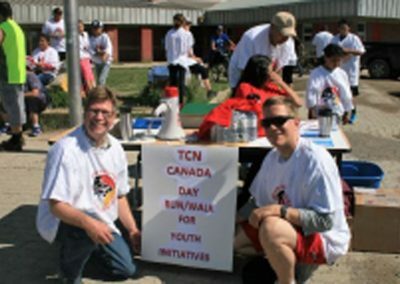 On Canada Day, the team was warmly welcomed by community members, who hosted a number of activities, including the inaugural 10k run and 5k walk. 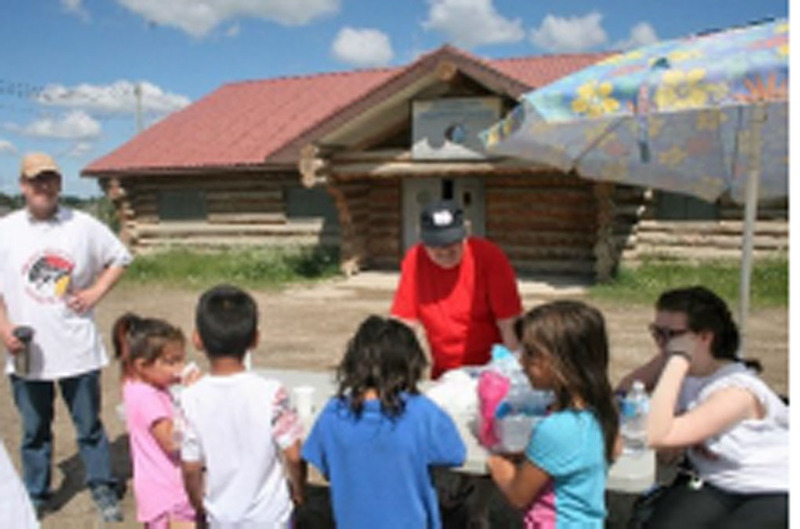 Team members participated in both and Bishop Elaine manned a water station, where she met many on the journey. 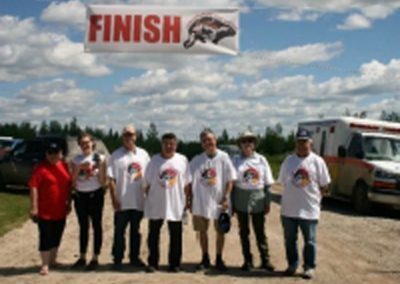 At the finish line, all participants received medals and a good many tour members won prizes that were quickly re-gifted to the community. Later in the day, residents of Tataskweyak attended a feast in the warm summer sun. 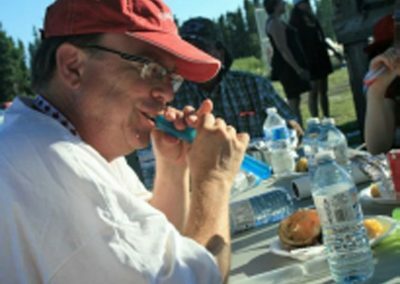 The feast brought many out from the community of 3000 people. 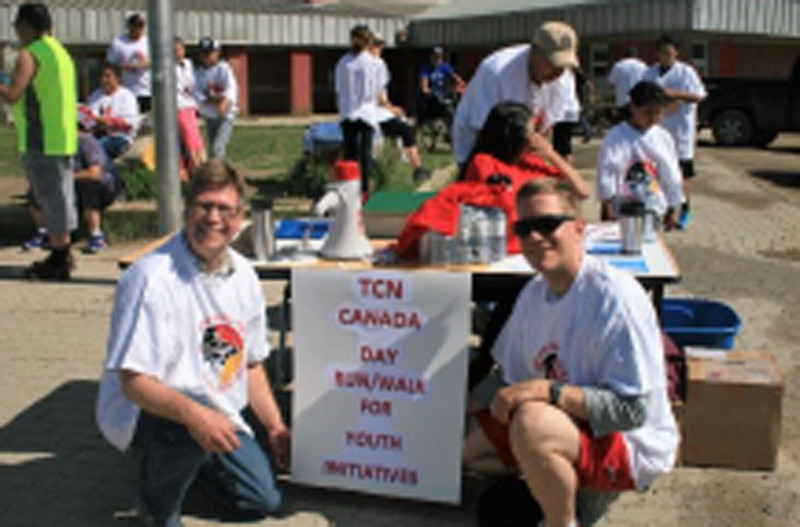 Activities were planned for all ages and a band performed. At one point, members of the northern tour were welcomed and introduced one by one. The day was capped off by a giant fireworks display that lasted about 45 minutes. Over the weekend two Gospel Jamborees were held in the new Band Hall. Members of the tour were introduced one by one on the northern FM radio station that broadcast the Jamboree. At the close of the evening, the seven pastors formed a team for healing and almost everyone came forward for prayers, anointing and laying on of hands. On the second night, at the conclusion of the Jamboree, Chief and Council presented the tour members with gifts. The team also presented gifts to organizers of the tour. On Sunday morning, Dr. Still led worship with the assistance of the team members. Bishop Sauer preached and baptized an infant and following the service joined in a feast that included Lake Sturgeon, a protected species of fish used now at special gatherings. 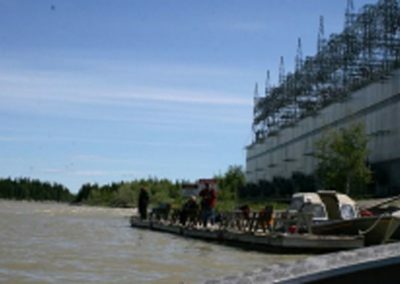 According to Manitoba Hydro, Lake Sturgeon populations have been “adversely affected by a variety of factors including historical commercial overfishing, hydro dam construction without Lake sturgeon mitigation and by ongoing management of the Nelson River system for production of hydroelectricity.” The sturgeon used in the church feast was caught in the Churchill Rover. 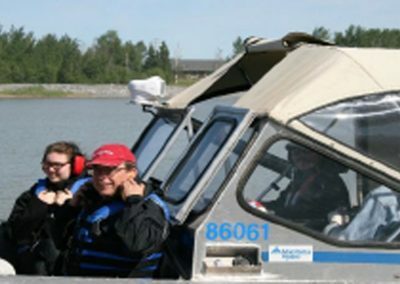 Today, according to reports, Manitoba Hydro together with York Factory First Nation, Fox Lake Cree Nation, Tataskweyak Cree Nation, War Lake First Nation and Shammatawa First Nation and the Keeyask Hydropower Limited partnership recognize the shared use of the water resources of the Lower Nelson River and the responsibility to “protect and enhance sturgeon populations”. 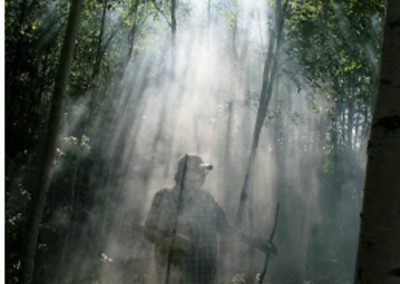 The morning before the team left to tour the dam, meditations were held at an open air location near the water, where the team members learned about creating smoke to keep the mosquitoes at bay. Following meditation, members enjoyed the water and a couple of people tried their hand at fishing. The contrast between the two dam tours was evident, as the Kelsey dam was built by the INCO mines in Thompson and later operated by Manitoba Hydro. 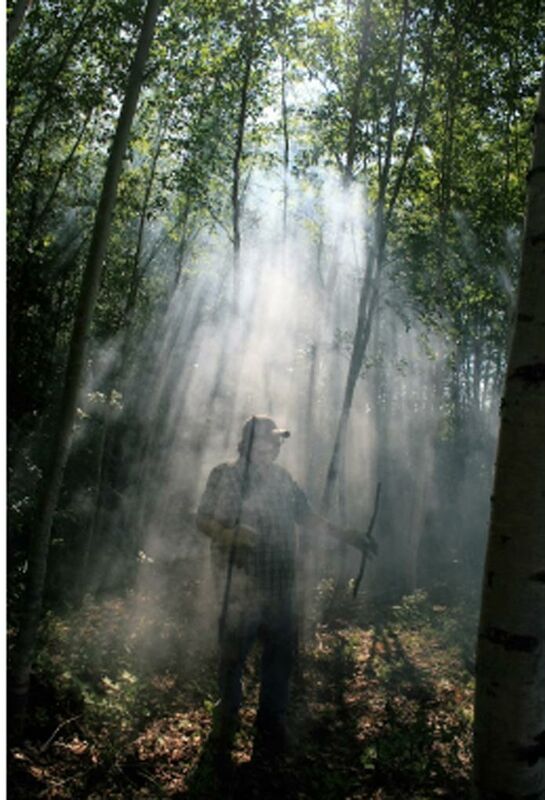 Since then, Manitoba Hydro has grown into an understanding of the need to work in partnership with First Nations. As such, Hydro works with four different First Nations and provides opportunity for trade skills development for example. The preservation of the lake sturgeon is another example. 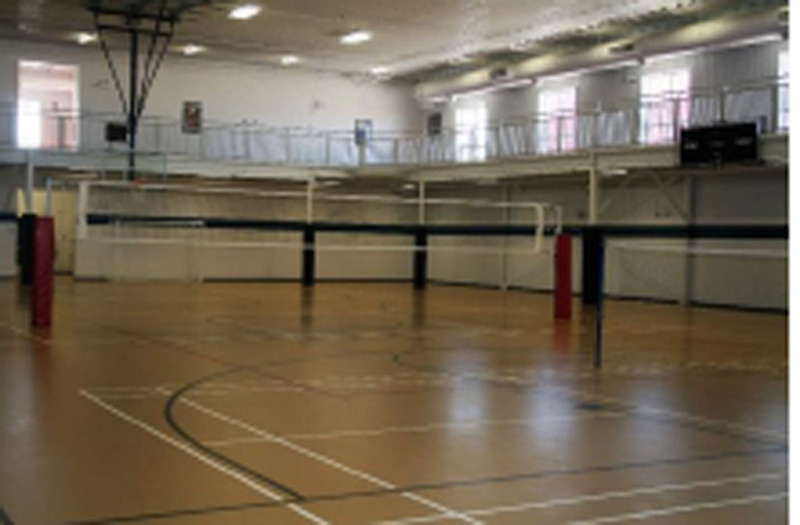 The hydroelectric project has constructed a small town environment, where workers stay for a couple of weeks at a time, and enjoy the facilities that include a gymnasium, library, health centre, movie theatre and cafetria. One gentleman we spoke with says he had a hard time leaving after his two weeks were up and he looked forward to returning. 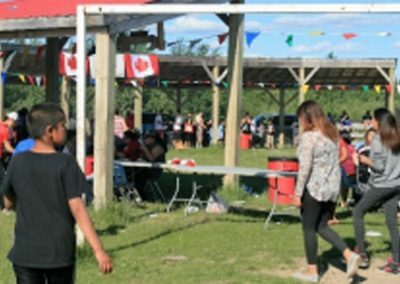 Once the dam is built, in about five years, the temporary town will be dismantled, and First Nation members will come away with a trade. 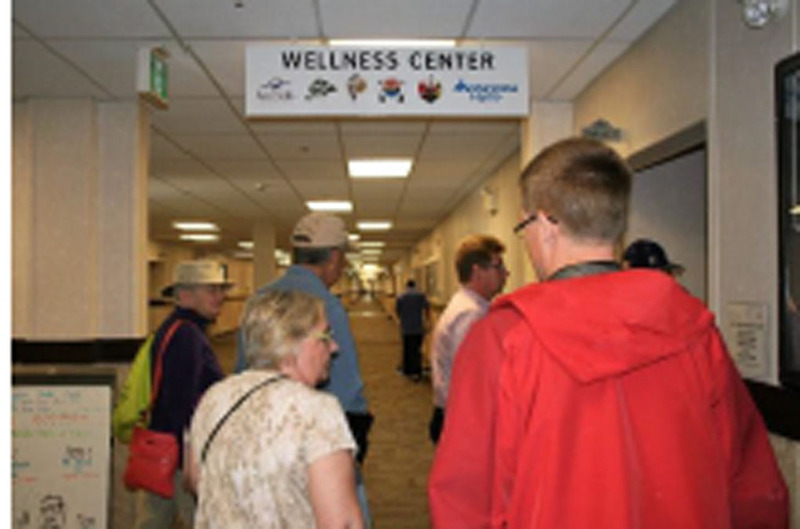 Once the team completed the final tour, members had a chance for a debrief and were amazed at all they had taken in. It is the team’s hope an educational package can be developed for curriculum development. On the tour, we discovered it may not be possible to restore the water to its original state. What was once clear drinking water cannot be used today. As this is a northern community, like many others, the process for groceries and living are quite high. Housing is improving but there remains work to do. Roads are gravel and the road we travelled up, built early in the 1980s, is s still under construction. The community also wrestles with social problems connected to alcohol and drugs and young people have committed suicide. There is a youth centre but staffing of a youth director is not available. Due to the high cost of materials, sporting equipment is limited. It may be possible to explore partnerships with this northern community, and the local priest is willing. As well, we might be able to find partners to supply items like shoes for their run/walk and sporting goods. The team also hopes to organize a second tour for young people. To balance the difficult challenges, the team noticed a strong sense of community, where people look out for one another. 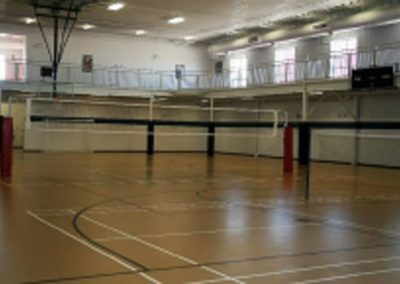 There are brand new facilities like the Cultural Centre and Band Hall that serve the community well and could be used for tourism. The Health Centre is impressive as a one stop spot for diagnosing and treating health concerns. There is a desire by committed community members to continue to nurture the youth as was evident in the creation of the very first run/walk to raise funds for youth. As well, there is a dedicated team of leaders in the Chief and Council, who work closely with St. John the Baptist Anglican, also a new facility. As far as reconciliation goes, the connection between indigenous and non-indigenous made this possible. Team members committed themselves to exploring ways to help, and to continue to pray for the north. They are also grateful to those who welcomed them and those who organized the various activities.